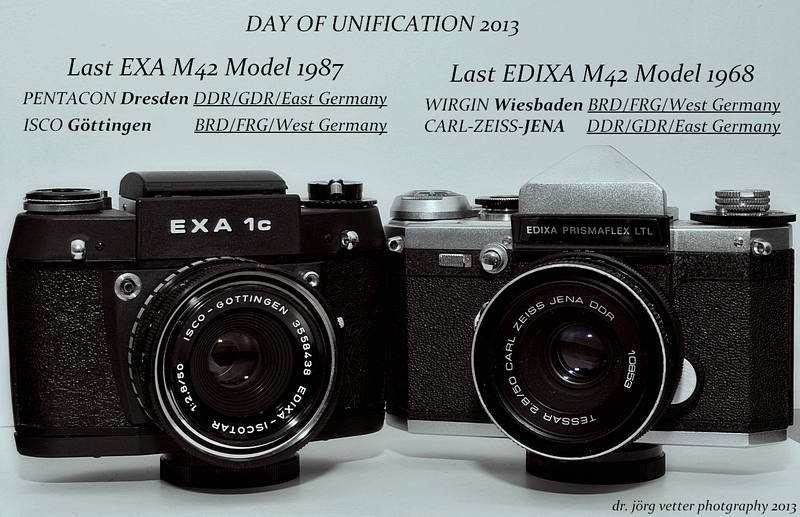 Фото "Day Of Unification 2013"
German SLR’s and lenses were the best in the world, unfortunately only till about end of the 1960tess. Most of the companies located in BRD/FRG/West Germany shut down the production around 1970! The last camera model, which was definitely produced in GERMANY, in the New United Germany, till around 2000 was a Praktica by Schneider (BX20s). HINT: LEICA is producing a lot of parts and SLR’S outside from Germany: in Portugal!